We have had so much fun coming up with lots of NEW glowing recipes and activities. 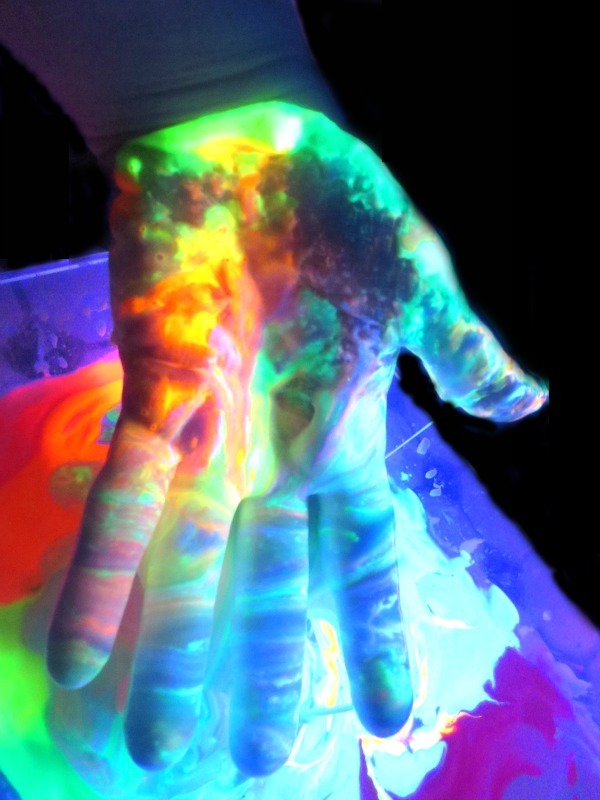 This next glowing activity was so fun! 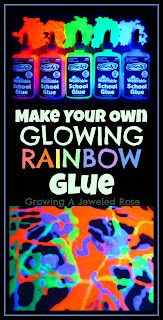 Glowing goop was actually one of our very first posts here on Growing A Jeweled Rose. 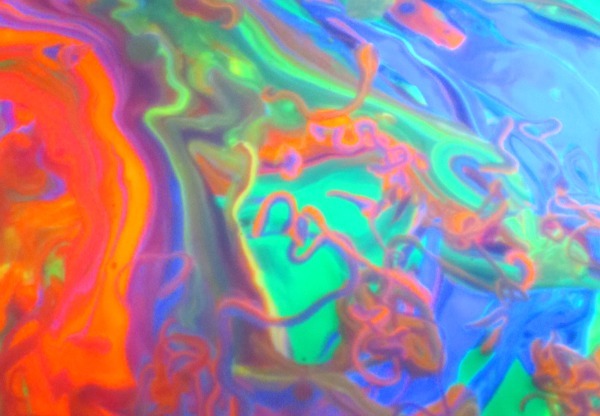 I didn't think to make our glowing goop rainbow goop back then so we revisited this play time. 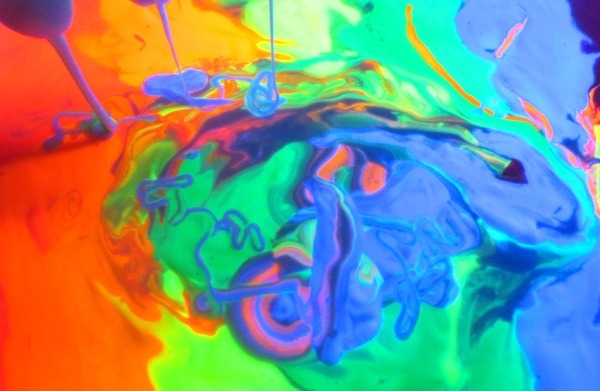 All you need to make glowing RAINBOW GOOP is corn starch, water, and fluorescent paint or glow in the dark paint . 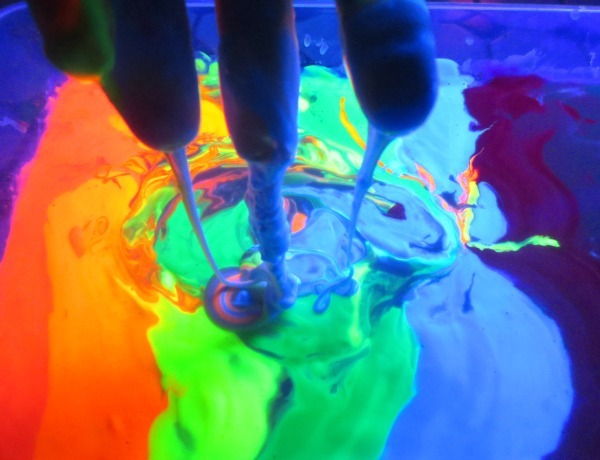 We use fluorescent paint to make our GOOP glow under black light and this glowing paint to make it glow in the dark. make goop as you normally would. In a container slowly add water to corn starch until you have GOOP. How will you know when the mixture is right? 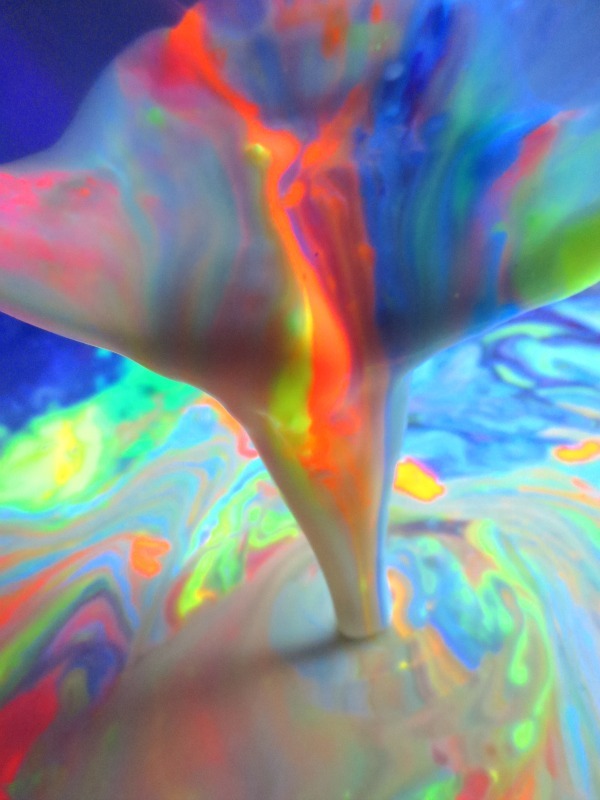 Goop acts as both a solid and a liquid interchangeably. 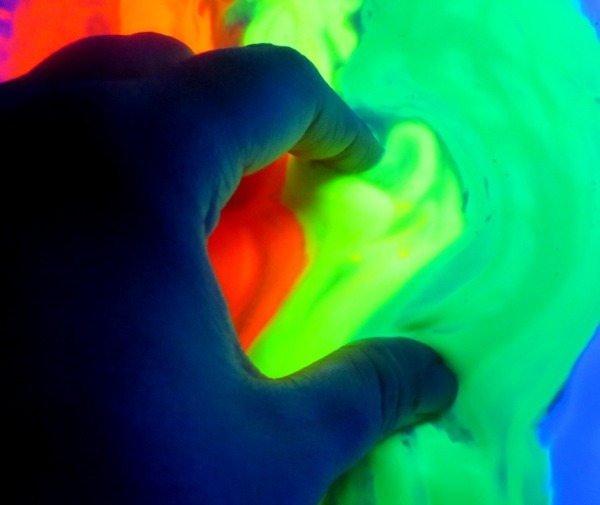 If you move your hand quickly you can pick it up, but once your hands are still the goop will turn to a liquid and ooze from your fingers. I never measure when making GOOP- I just slowly add water until I have that goopy-good texture. 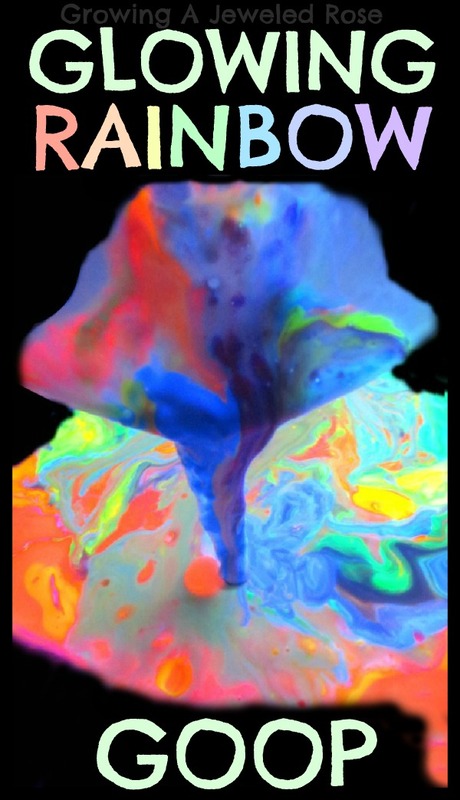 Once the goop is made add the glowing paint of your choice to the surface in rainbow order. 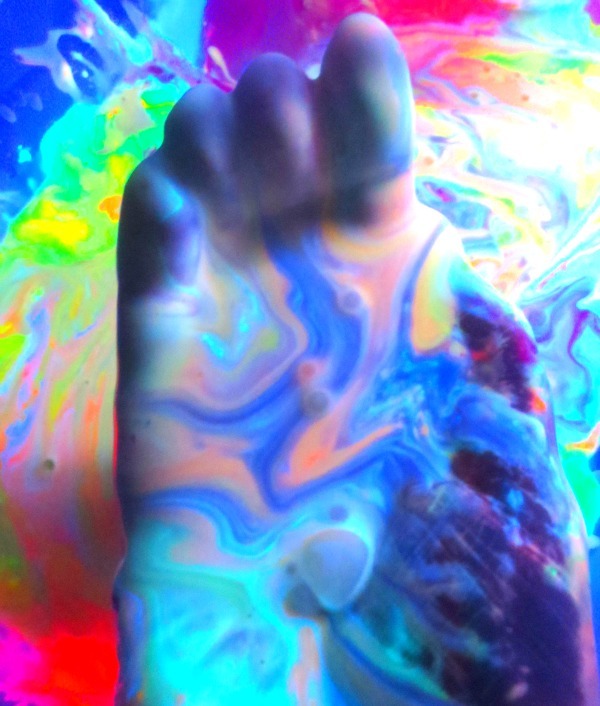 The goop was so colorful and pretty! Rosie was in awe over the rainbow rivers that formed as we played! I couldn't keep my hands out of the GOOP myself! Unfortunately the pictures of the girls were too dark to share but rest assured, they had a blast! We have a few more new glowing recipes to share too! 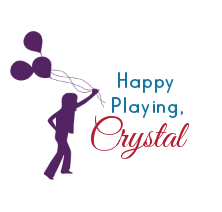 Be sure to check back with us! 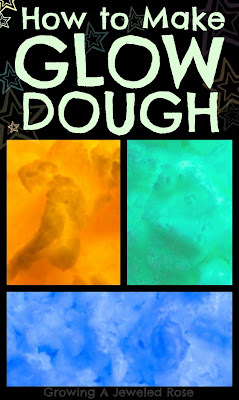 Also be sure to drop by my sister site to see the new Glow Dough recipe we shared today!